We’d like to congratulate our October Educator of the Month, Christine Mahoney! A food justice warrior, herbalist and birth coach, she’s dedicated her life to helping others heal. 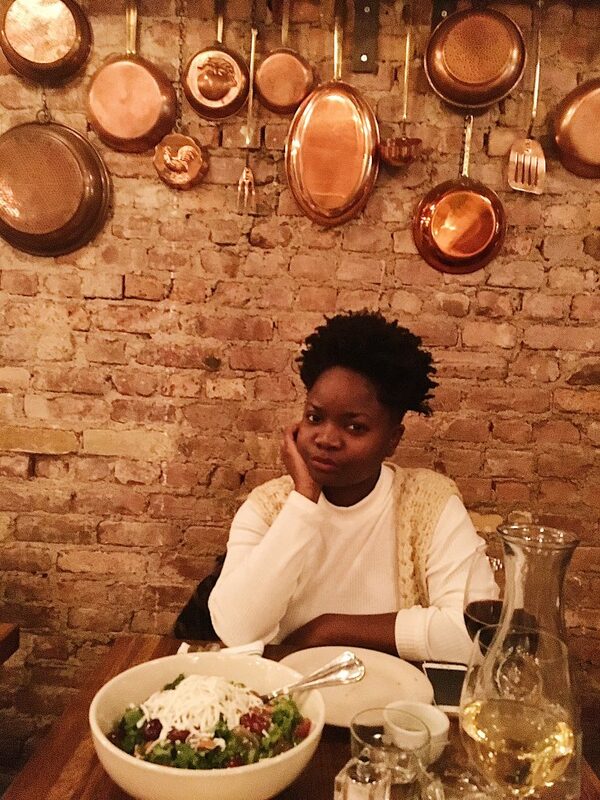 A first generation Jamerican (Jamaican-American), Christine is also passionate about Caribbean foodways and traditional medicine. A hardworking veteran of the Allergic to Salad team, she consistently brings her knowledge and dedication to her classes. We’re so glad to have her! We were lucky enough to have Christine answer a few questions about herself. What Allergic to Salad classes do you teach? I teach a variety of students, ranging from 18 months to eleven years old. This semester, I teach at Flagstone Family Center, P.S. 130 in Prospect Park South, and P.S. 183 in Lenox Hill. I started a subsidized CSA for low-income moms, and have worked as an herbalist, DOE sub, doula developing food education for mothers, and facilitated a Just Food Conference in 2016 about prenatal nutrition. I love making black bean brownies with my students. As for me, I enjoy Afro-Caribbean food, like veggie curry. Food is life, and we should all have access to food that nourishes our grown and development. Everyone feels good after an amazing meal! Here, Christine talks about how delicious black bean brownies can be. Want to get to know Christine better? You’re in luck! 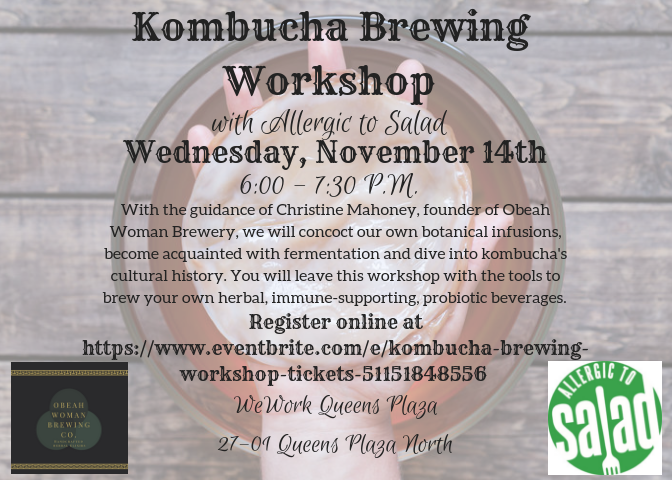 Next month, she’ll be teaming up with Allergic to Salad to host a Kombucha Workshop for adults. 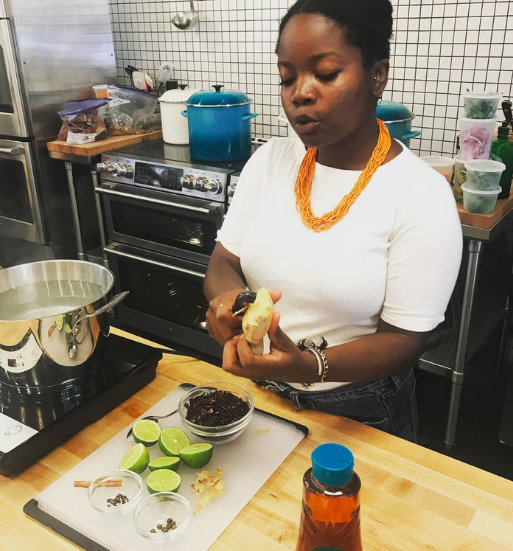 Christine, founder of Obeah Woman Brewery, has all the tools you need to learn how to make your own probiotic beverages. You can sign up here. You’re a queen, Christine. Thanks for being such a valuable member of our team! You can read more about Christine on her website. Be sure to check back soon for our November Educator of the Month. In the meantime, happy cooking!